The Hokuriku Main Line is operated by JR West between Maibara Station in Shiga Prefecture, and Kanazawa Station in Ishikawa Prefecture. 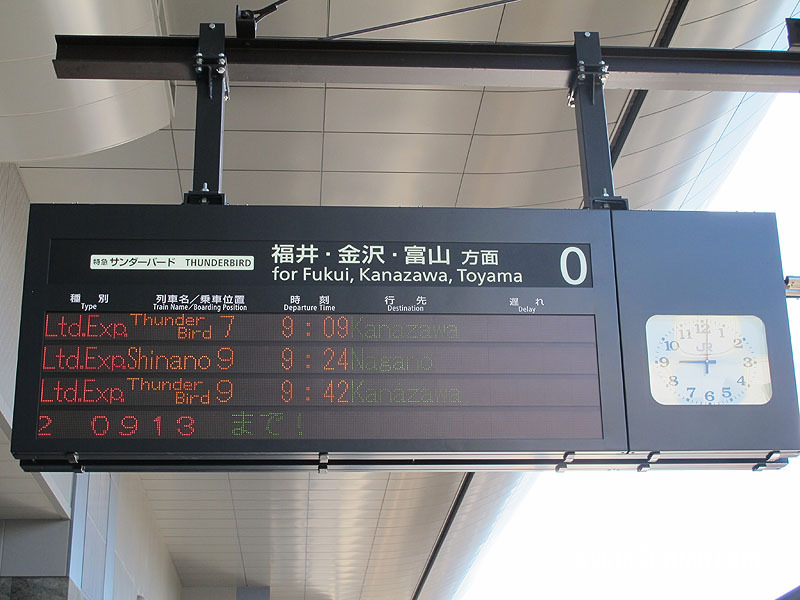 The Thunderbird Limited Express is a service that connects Osaka Station with stations in Fukui Prefecture, and Ishikawa Prefecture, via Shin-Osaka Station and Kyoto Station. On Kyoto Station signage this route is referred to as the Hokuriku Line, but the train actually follows the Kyoto Line, then the Kosei Line, before joining the Hokuriku Main Line proper at Tsuruga Station. This service is fully covered by the Japan Rail Pass. Trains leave from platform 0 in Kyoto Station. The Thunderbird Limited Express is a convenient and fast service for popular tourist destinations in Fukui Prefecture and Ishikawa Prefecture. All trains go as far as Kanazawa Station, and some trains continue on to Wakura Onsen Station too. Until March of 2015 the Thunderbird Limited Express continued on to Toyama Station too, but this service has now stopped. 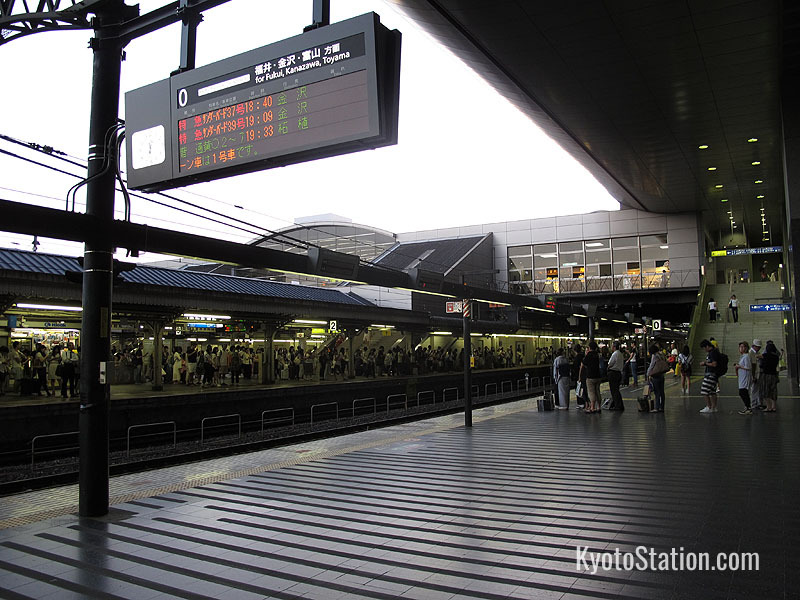 If you wish to continue on to Toyama Station, you now have to transfer at Kanazawa Station to the Hokuriku Shinkansen. The following stations are the locations you are most likely to visit en route. Tsuruga is a port city in Fukui Prefecture. Its major sites are the massive gate of Kehi Shrine, the garden of Saifukuji Temple, the white sand beach and pine trees of Kehi no Matsubara, and the Meiji era red brick warehouses near Tsuruga Museum. Takefu Station is situated in the city of Echizen in Fukui Prefecture. Though Echizen has many historic buildings, shrines and temples, it is most famous for its crafts and its cuisine. You can get hands on experience with Echizen ceramics at the Echizen Pottery Village. At Echizen Washi no Sato you can learn about traditional papermaking. And the Echizen Soba Center is just one of many locations serving up the city’s famous noodles. Fukui is the capital city of Fukui Prefecture. Its famous sites are the Ichijodani ruins (a partially reconstructed 15th century castle town), the Zen temple complex of Eiheiji Temple, and, in the spring, the 600 cherry trees that line the Asuwa River. Train Time: 1 hour and 25 minutes approx. Train Time: 1 hour and 38 minutes approx. Kaga is a large sprawling city that includes within its official boundaries many smaller towns, among them the famed hot spring resorts of Awazu, Yamashiro, Yamanaka, and Katayamazu. Check the Kaga & Hakusan website for recommended facilities. Natadera Temple is also a short bus ride from Kaga Onsen Station and is worth a visit for its gardens and its commanding views of Mount Hakusan. Train Time: 1 hour and 49 minutes approx. Kanazawa’s major tourist locations include, the partially reconstructed Kanazawa Castle, Miyoryuji Temple (also called the Ninja Temple) which has many secret passages and trap doors, the traditional teahouses of the Higashi Chaya geisha district, and Kenrokuen garden, which is said to be one of the three great gardens of Japan. If your train doesn’t continue on directly to Wakura Onsen Station you should transfer here to the Nanao Line. Passengers heading for Toyama should transfer to the Hokuriku Shinkansen. Train Time: 2 hours and 16 minutes approx. Wakura Onsen is a 1200 year old luxury hot spring resort on the tip of the Noto Hanto peninsula. The baths here, overlooking the sea, are said to have many health benefits. Check the official Wakura website for recommended facilities. Not every Thunderbird train goes as far as Wakura Onsen, so you may need to transfer at Kanazawa Station to the Nanao Line. Check your final destination before departure. Train Time: 3 hours and 30 minutes approx. Toyama is the capital city of Toyama Prefecture. It’s most popular tourist attractions are Toyama Castle and boat trips on the Matsukawa River. The city is also within striking distance of hiking routes along the Tateyama Mountain Range. 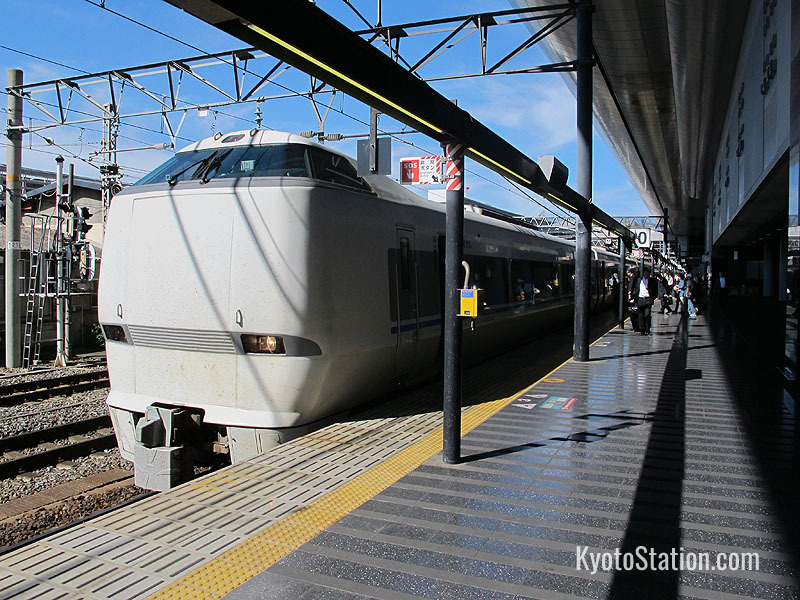 As of March 2015 Toyama Station is no longer on the route of the Thunderbird Limited Express and you will have to transfer to the Hokuriku Shinkansen at Kanazawa Station to reach it. Train Time: 2 hours and 49 minutes approx. Not all trains continue to Wakura Onsen. If you don’t have a Japan Rail Pass, you might consider investing in a Kansai-Hokuriku Area Pass, or a Hokuriku Area Pass, to fully explore the Hokuriku area.